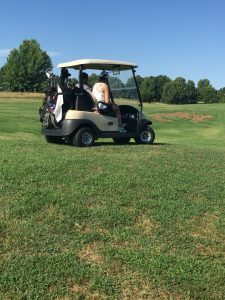 The 6th Annual Dan Harter Invitational Golf Tournament, held at Island Green Golf Club in Republic on July 21, raised $1,867 to support the Greene County Center emergency fund, meeting the crisis needs of eligible residents. In Greene County, 16.5% residents live below the poverty line; of those, nearly one of five is a child under the age of 18. 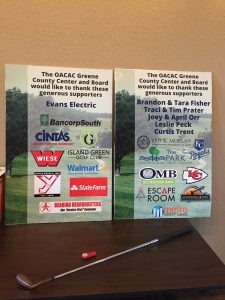 Dan Harter serves as a member of the OACAC Greene County Advisory Board, focused on helping people move from poverty to self-sufficiency. 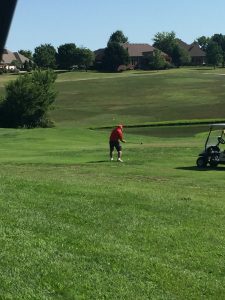 He designed this golf tournament as a way to bring people together to have fun, while raising awareness and support for low-income people who are facing emergency situations. 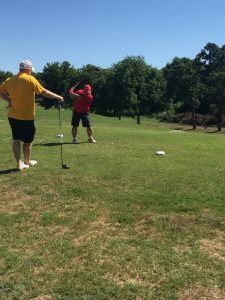 Many thanks to Dan, the Greene County Advisory Board, tournament attendees, and the sponsors who supported this event. 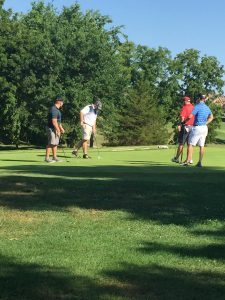 Pictured below are some of the moments captured during the tournament.